Jökulgil is a 13 km long valley carved into Landmannalaugar. Its magnificent colours leaves no one untouched, pictures do not do it justice. To get here, you follow the Jökulgil river, which gets only knee depth at the end of summer when the Torfajökull glacier has had a chance to melt in the sun. Follow this river bed as it gets narrower and narrower and you end up in one of Iceland's most beautiful places, the Jökulgil Canyon. 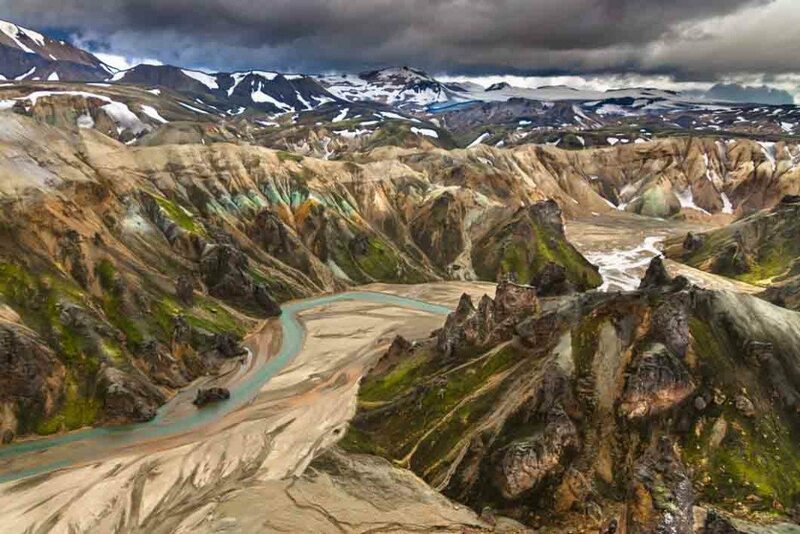 The best way to capture the colours and the intense uniqueness of this area, is to see it from above by helicopter!